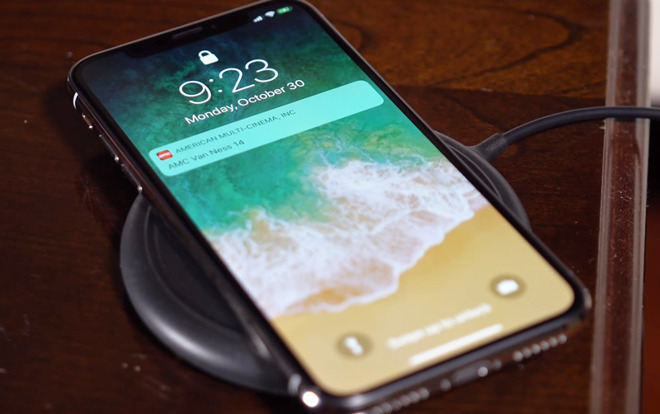 Introduced with the iPhone X last year, wireless charging is a great way to recharge an iPhone, without needing to connect a Lightning cable. Instead, the iPhone is placed on top of the charger, positioned in line with an embedded charging coil which transfers power to the iPhone's battery. 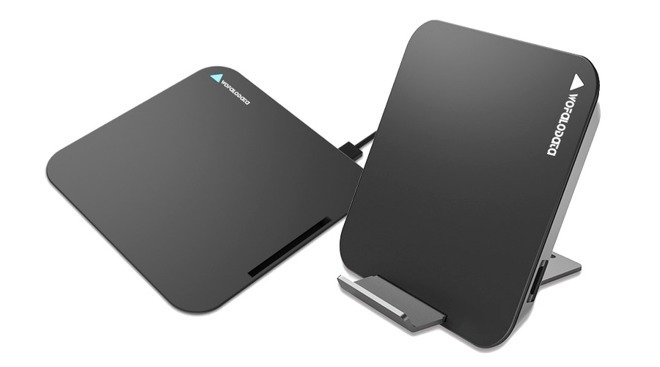 What follows is a selection of wireless charging stations that may be worth considering if you intend to try out wireless charging for the first time. As they are universal accessories, compatible with practically any device using the Qi wireless charging standard, owners of the iPhone X and iPhone 8 can also take advantage of these mats and docks for their existing handsets. It is also worth a look for those who are waiting for Apple to release its AirPower wireless charging mat. Apple revealed it last year, but has stayed quiet about the product for over a year with no sign of releasing it soon, making buying one of the currently-available mats a decent and cheap alternative until Apple ships AirPower. 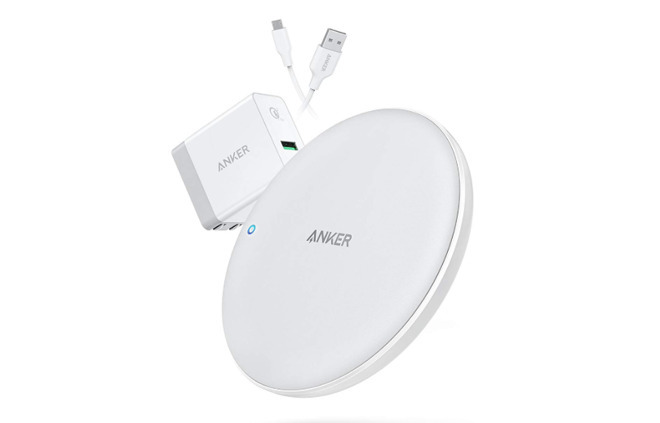 From the same company, the cheaper Anker Wireless Charging Pad is a minimalist 2.6-inch diameter coaster with an anti-slip rubber ring to keep the iPhone in place. While it outputs a maximum of 5 Watts, it still offers a power-efficient idle mode to prevent battery overcharging and energy wastage, and indicator lights to show both its charging status and if the smartphone placed on top isn't supported. 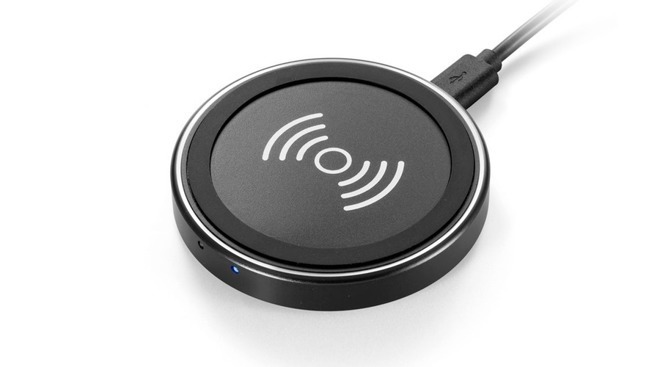 Sold with a 3-foot micro-USB cable, the Anker Wireless Charging Pad is priced at $29.99. They start off at $9.99 on Amazon, though our favorite HyperAir charging puck will run you $29.99. Looking for something to charge multiple devices? Consider the Nomad Base Station. This premium charger is made of leather and aluminum with both USB-A and USB-C outputs. It can charge two phones simultaneously at 7.5W. If you want more details, check out our full review. 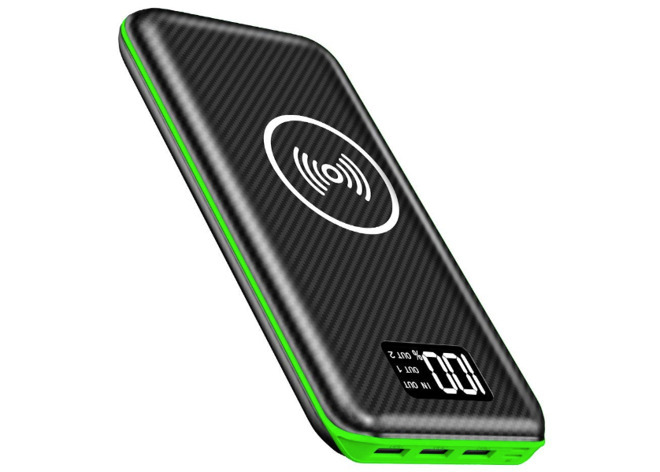 If you need a portable wireless charger with a bit more power, consider the Kedron Portable Charger Power Bank. 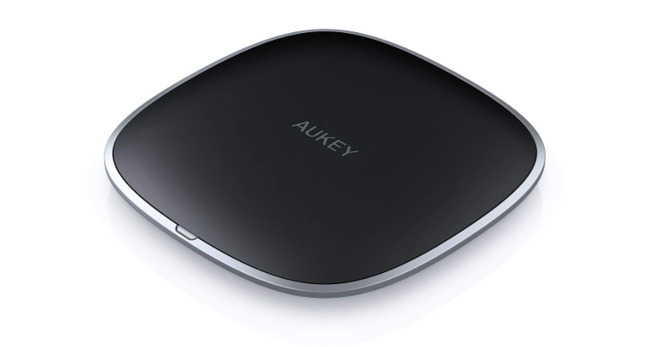 Offering a larger 24,000mAh battery and a digital display showing its charge and usage status, it can charge up to four devices at the same time using three wired connections and Qi charging. 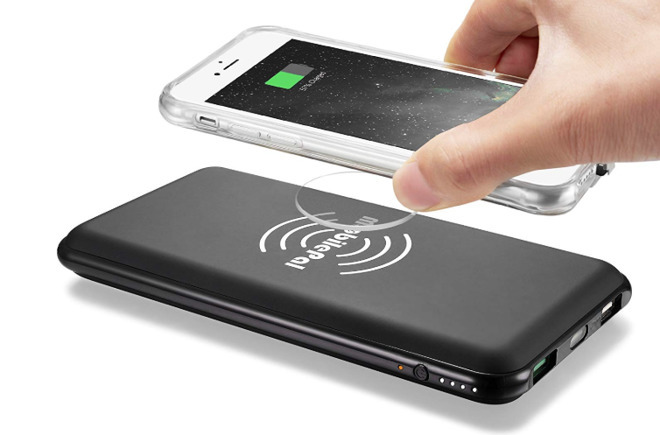 The super-sized power bank with wireless charging is priced at $33.99. 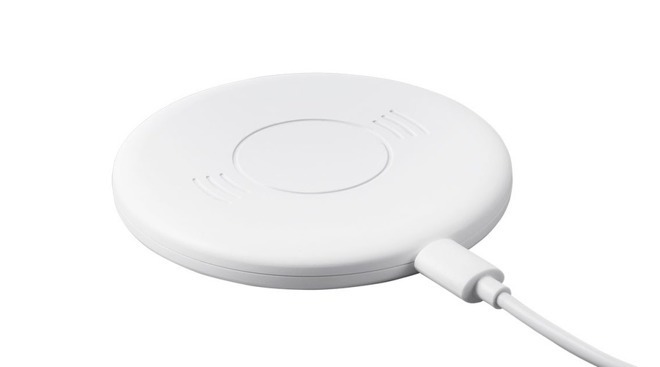 The Wofalodata Fast Wireless Charger is a solid Qi-compatible panel measuring 2.28 inches square, which offers both 5W standard charging and up to 10W fast charging. 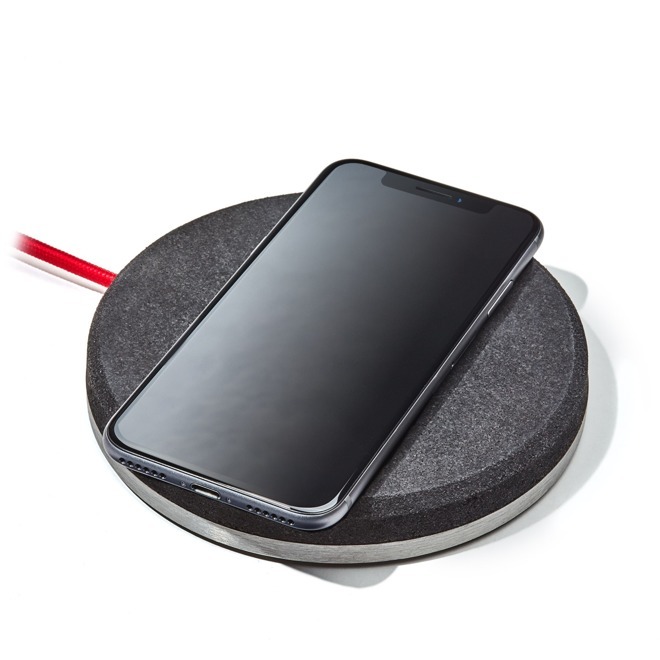 This charger also doubles as a stand, with an additional plastic shelf that keeps the iPhone propped up on the plate when it is upright, though it will apparently only charge smartphones like the iPhone X in a horizontal orientation when used in this configuration. 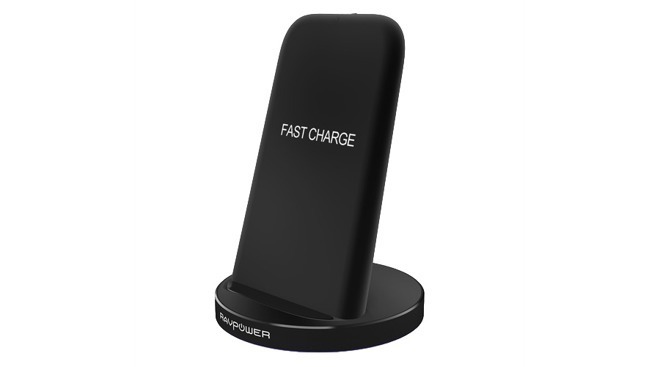 Offered with a 2-foot microUSB cable for supplying power, this stand is on sale at Amazon for $10.99.